Jordana is the second generation owner of Preferred Care at Home of North Westchester and Putnam. Previously owned by her parents Anthony and Beverly Mazzella, Jordana has been heavily involved in the company since it opened in 2012. With much passion for the company and industry, Jordana officially took over in 2016. Jordana is continuing to provide the community with compassionate, reliable and affordable service for seniors who wish to stay in the comfort of their own home. Jordana started with Preferred Care at Home as a companion experiencing first hand what is needed to bring comfort and care into the lives of their clients. She has said that being a companion was a very rewarding experience. Spending just a few hours a day with someone not only changed their day around, but hers too. It is that foundation that spurred her desire to grow the company. “There is a lot you can learn from from seniors. I have an immense amount of respect for the elderly and it is true that the older you get the wiser you get as well”. She gradually worked her way into more of an administrative position by making connections with case workers at rehabilitation centers and nursing homes in the community and being involved in senior health fairs and other community events. Little by little Jordana took an interest in learning all the aspects of the business and then her father gave her the opportunity to take Preferred Care at Home under her wing entirely. Jordana has always been very passionate about helping people from a young age. With her father being a Pastor, growing up, the family did a lot of community service helping at soup kitchens and homeless shelters. As she got older her desire to contribute her time to helping people only grew. In 2009 she volunteered on a medical team in Mozambique, Africa and in 2013 worked with abused young women in Cusco, Peru. 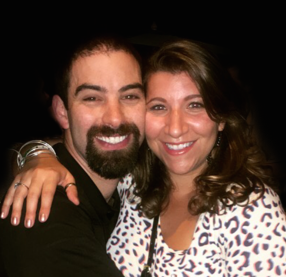 Jordana and Dan have created a family environment with their company and want to bring you into that family. At Preferred Care at Home, they treat your family member with the dignity and respect that they deserve, the same respect they would treat their own family with. Give them a call today and they will work with you to come up with a strategy to specifically meet your family’s needs so that your loved one can truly enjoy life with dignity and independence.